Though it has operated as a member course since 1960, Donalda’s history starts a hundred years earlier when the Gray brothers drew grants of land near the Don River. Our rich and storied history is worth sharing. The original farmhouse was the home of David Dunlap, who came up with the name Donalda for the farm. Donalda was his wife’s middle name. Dunlap, the wealthy Vice-President and Treasurer of Hollinger Mines Consolidated, bought 600 acres along the Don Valley. The property was bordered by York Mills Road to the north and extended from Don Mills Road east to Victoria Park. The Dunlaps won almost every agricultural contest they entered and were known to bathe their pigs in olive oil and toilet soap. Completed a few years after Dunlap purchased the land, the Donalda farm comprised of more than 40 buildings. With rented acreage, the farm took in 1800 acres and employed some 30 workers. For 22 years following her husband's death, Jessie Dunlap operated the farm with the support of her son, David Moffatt Dunlap and his wife, Margaret. A brochure promoting Donalda included talk of golf, tennis, curling, and a pool, which came to fruition and is central to the club to this day. Renovations began on the Donalda home with the goal of turning it into the clubhouse. The architects tried to preserve as much of the original house as possible. Despite a few problems and a limited budget, the architects did an excellent job maintaining the romance and charm of the Dunlap's country retreat. In December, a fire broke out in the upper kitchen, causing smoke and water contamination. However, the club was soon back up and running at full steam. On November 26, Donalda Club opened its doors, although the first nine holes wouldn’t see golfers until 1961. Donalda retains a connection to the owners of the original property, and the farmhouse is an important part of the club to this day. Under the watchful eye of Canadian golf architect Thomas McBroom, Donalda has continually invested in improving the course. 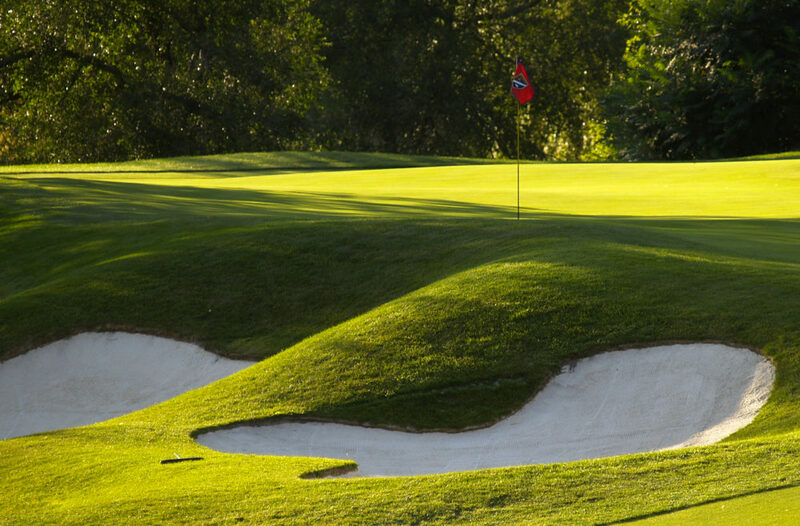 To make Donalda best in class, the club had McBroom rebuild all of its greens to the latest USGA standard.